CCTV is a device in which a person watches the environment and the activities of people from anywhere it can be from his workplace or even during his holidays when you are away from home you can keep eye at home even when you enjoy the holidays. It is very hard to trust anyone today, so CCTV comes in handy even when you are at work. If CCTV is installed at your home you can watch what is happening with your child and babysitter. It can be connected anywhere it can be on your mobile, laptop or television. The CCTV sends the recorded data as and when it’s been captured immediately to the person who installed for security and surveillance purpose. It is easily accessible and quite affordable. You need not spend a higher amount to pay your security guard instead you can install a CCTV that would last forever. CCTV ensures high security. It provides you the detailed activities taking place around your home. Even any kind of theft and burglary activities can be traced using the recorded footage from your CCTV. It is easy to access and the implementation cost is also affordable. Once you install a CCTV in your home then its more worth than hiring for a security guard and it’s always hard to find a well mannered security guard. Even when you are alone CCTV makes it easier to keep an eye on strangers lurking around your home and you can easily catch the strangers and thief. A CCTV works all day long it never gets tired of its work like security guard. We find different designs and models of CCTV in the market so you need to be sure that you choose the right one. There is variety of designs so for your home you should choose the one which is not easily recognizable by the thief or burglar. HDH Tech security and surveillance provide you with many choices and the right CCTV for your home. 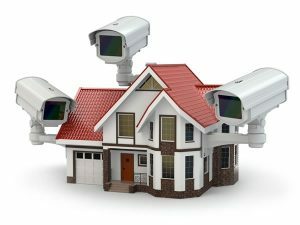 A home with CCTV is a well secured and well protected home.